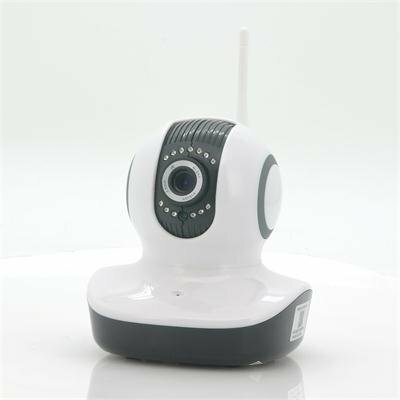 Successfully Added Plug and Play 720P HD IP Camera "Astro II" - Pan/Tilt, Motion Detection, Two Way Audio, 1/4 CMOS to your Shopping Cart. 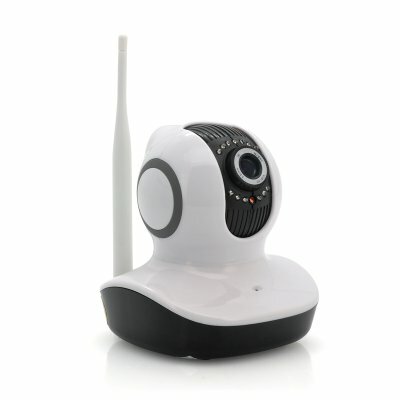 Plug and Play 720p IP Camera featuring Motion Detection, Two Way Audio, Pan/Tilt and 13 IR LEDs for a clear night vision. Cost effective home surveillance is coming your way. The “Astro II” IP camera is now easier to install than ever before. Coming Plug and Play ready, all you’ll have to do to secure your home or office is plugging in the cables and the software will do the rest. After that, you’ll be able to access the 720p HD video stream from any PC connected to the internet. Using Wi-Fi, the “Astro II” is extremely flexible when it comes to where you can install the camera. To move the camera to a different room, just unplug the power source and place the “Astro II” somewhere else. Two way audio and motion detection come standard on this surveillance camera which will give you an audio stream and even the possibility to talk back. Allowing you to log in from anywhere in the world, the “Astro II” security camera lets you check the security status of your home or business. Log in to the camera’s secure area and you'll see an instant live feed of all that's going on. Thanks to the Pan/Tilt motor, the “Astro II” can turn 355 degree around its axis and 80 degree vertical, scanning a whole room at once a. Set the motion detection alarm to notify you when something happens and let the 13 IR LEDs take over in low light conditions, giving the “Astro II” a 10m night vision range. Competitively priced, the “Astro II” is a great boost for your home security. This product is now in stock and can be dispatched within 24 hours of ordering. Brought to you by the leaders in wholesale electronics and IP Cameras, Chinavasion. The app is very bad. Most settings are not remembered by the camera of the app. The picture is not very clear. 720p?! i don't believe that. There is no auto focus.